New house. Comfortable, clean, easy-to-use kitchen. Expansive beach can use to drive to other beach locations (Bayleys Beach) and numerous walks. Unspoilt location. Friendly community. Loads of historic sites/museums and places close by, drive to the historic town of Rawene for a day trip or catch the car ferry on your way to the bay of Island or Cape Reinga. 30 mins to Kauri forests, one hour to the Hokianga Harbour. Public holidays,Easter and Labour Weekend regarded as peek season tariffs. Great location and well appointed bach with everything you could want for your stay. Great location and well appointed bach with everything you could want for your stay. Would highly recommend and hope to stay again. The nearby kai iwi lakes are absolutely amazing too. Thanks for the lovely stay. We had lots of rest and relaxation. Your homely bach was in a great place close to lots of beautiful nature. 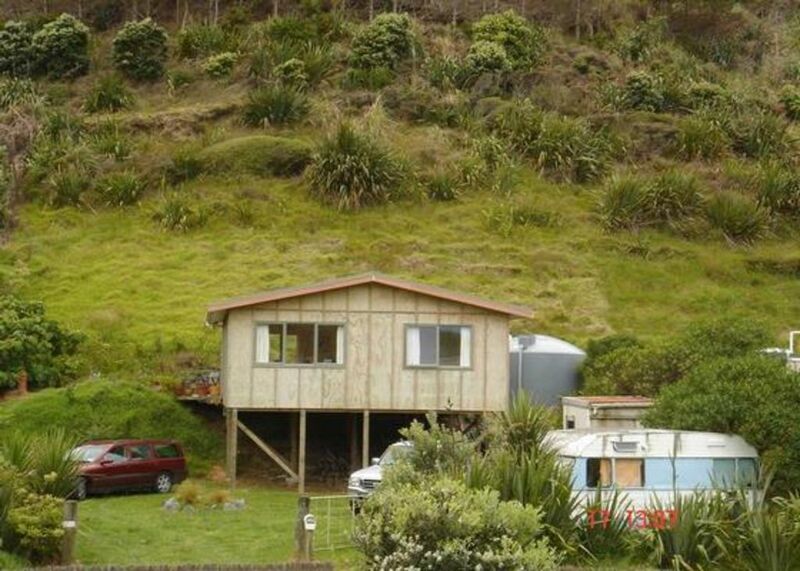 Really pleased with our stay, bach was clean and neat, fairly priced, location was cool - 8 mins drive from Kai Iwi and 25 mins to Trounson Kauri forest. The beach that is just 5 mins walk away is epic, had no idea it was NZ's longest beach (Ripiro Beach) till we read the sign. Just a small suggestion: a railing up on the side of the deck would be good so small children would be safer. Other than that; top notch and would stay again. Beautifully furnished with funky second hand furniture and an idyllic get-away-from-it-all spot. Clean .. tidy .. and very homely ... we loved our stay ..it was good fishing ..lovely beach and plenty of room. Booking was very last minute. Booking was very last minute. Jim was helpful and property was just as described. It is 5 minutes drive from Kai Iwi Lakes where we spent 2 days in the sun swimming in the beautiful, clear lake with a sandy bottom and beach! The only "issue" (not really) is that Sky TV wasn't working - perfect weather and it said signal lost due to rain fade - go figure. Couldn't be bothered watching anyway, nice to chill out and read a book!